105 minutes of unique archive film captured all around the UK, from London back in early 1900s up to the 60s and the famous Routemaster. and all the way from the south coast of England to the highlands of Scotland. All colour except where historic B&W footage is used. 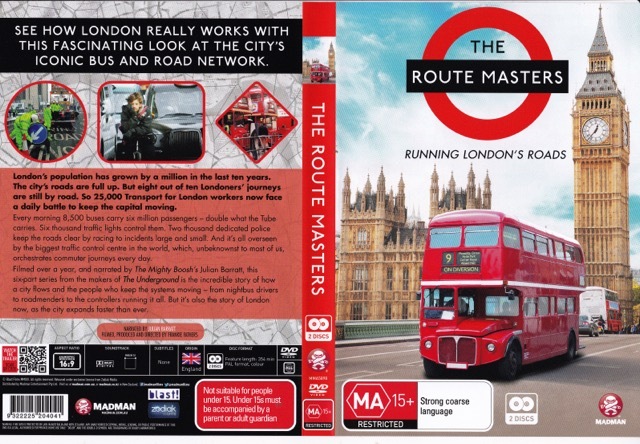 Exceptional DVD! 2 disc set and a total running time of 6 hours! Looks at how transport in London really works. On Th e Buses. 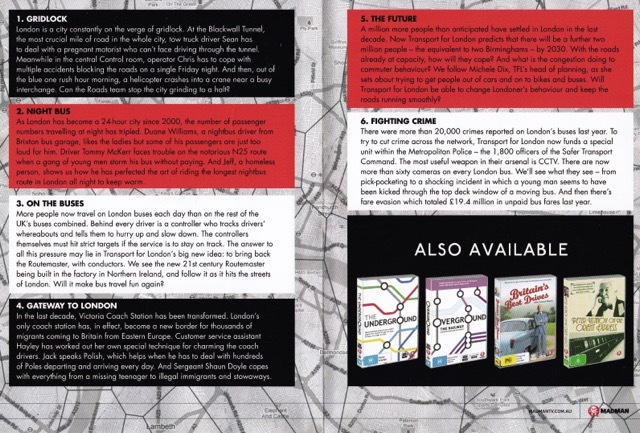 Developments in bus design and a huge increase in patronage leading to the New Routemasters with conductors again! Night Ride. A bus driver handles the rough N25 service and young toughs making trouble. Gateway, The Future and Fighting Crime add to the fascinating study of how Londoners and their roads interact. 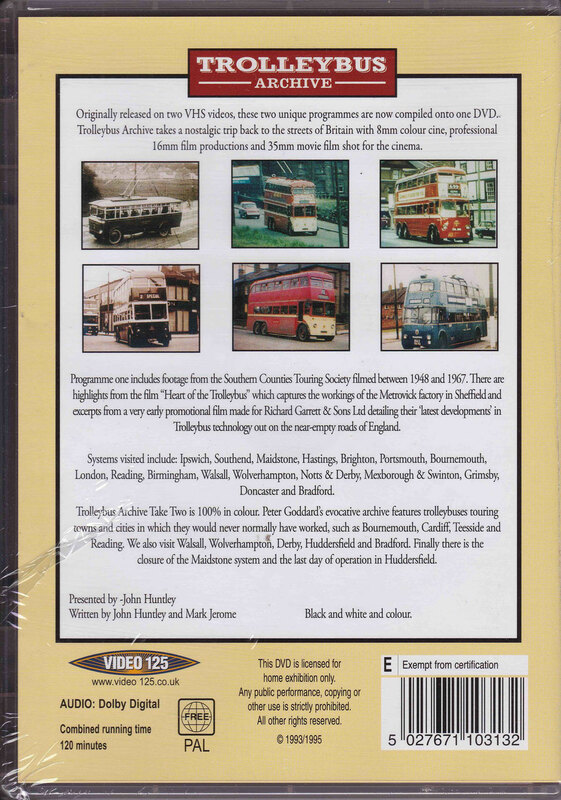 120 minutes of archival footage showing every aspect of trolleybus operation all over the UK, from the 1920s to their impending demise in the 1960s. Included is a visit to the Metrovick factory in Sheffield, South Yorkshire. Mostly colour some 8mm, some 16 and some 35 mm cinema footage. Very high quality vision. The first Lolines were basically the Bristol Lodekka built under licence by Dennis, and incorporating some useful design changes. 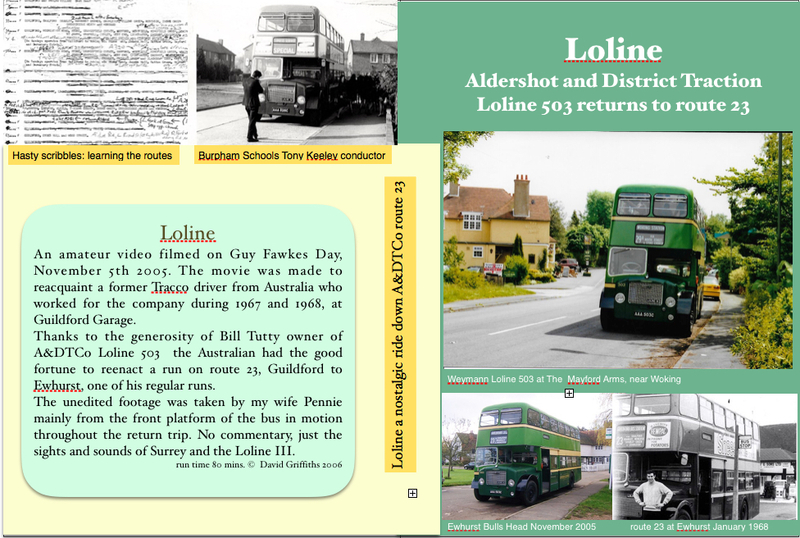 Loline III, the subject of this film, had many purely Dennis features including a newly designed 5 speed constant mesh gearbox. Number 503 has a Gardner 6LW motor and Weymann body. The footage is amateur, shot mainly from the front entrance platform giving all the sights and sounds of the journey. 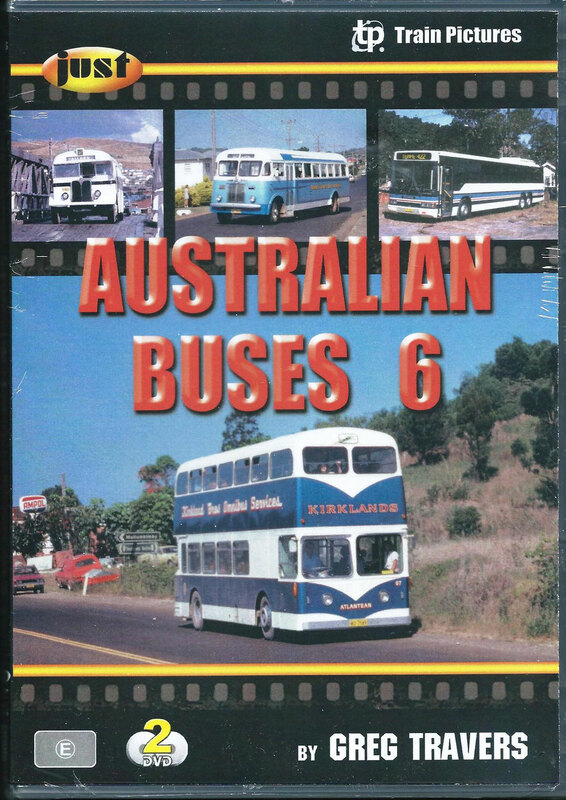 The driver for most of the trip is a former Tracco driver of the 1960s, on a visit from Australia! 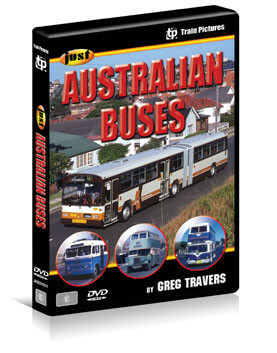 Generous serves of video footage of Australian buses from all over, in a professional quality DVD. Digitally remastered vision from Bolex Standard 8 and Canon Super 8 cameras, with full informative narrative added. Tour of Wollongong private operators in 1974, Casino and Gold Coast, Leyland Altanteans in 1983. PTC, UTA and STA and many many private operations, but mainly NSW Govt. 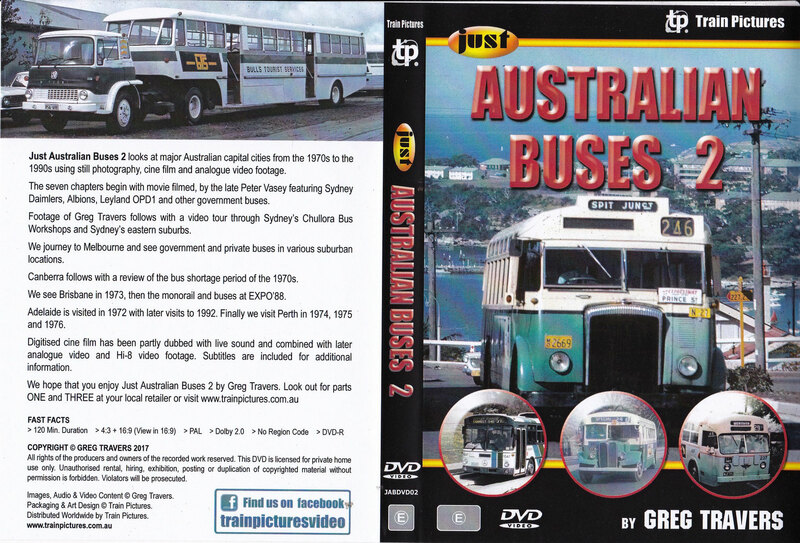 Generous serves of video footage and still photos of Australian buses from all over, in a professional quality DVD. 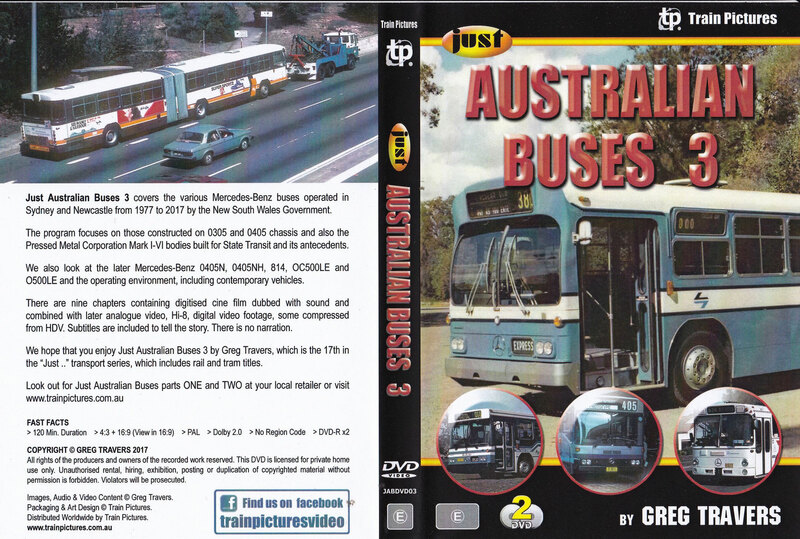 Movie footage by Peter Vasey of NSW Govt buses, a tour of Chullora Workshops with Greg Travers, ACT buses when they borrowed Sydney Buses, Brisbane during Expo '88 and 1973, Adelaide and perth in the 70s and 90s. Partly dubbed sound and subtitles as required. Nine chapters, mostly digital video footage, some cine film Hi 8, . 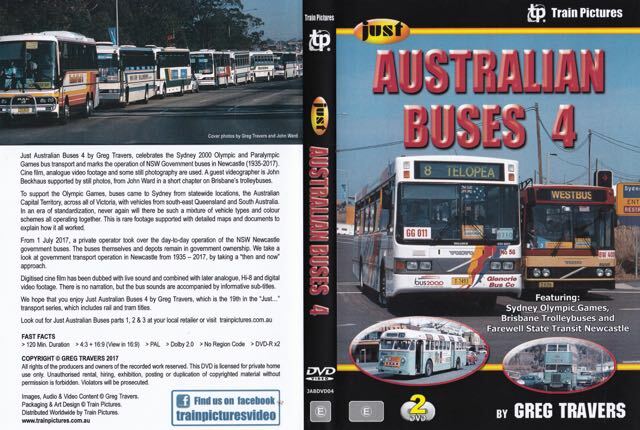 All private buses, featuring Sydney Olympics 2000, Brisbane Trolleybuses, Farewell STA Newcastle. 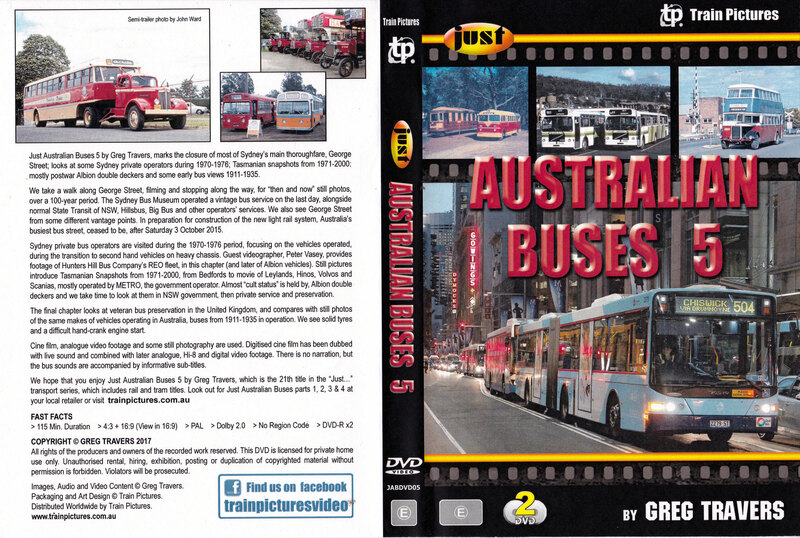 Digitised cine film, dubbed with sound and combined with later analogue Hi-8 and digital camera footage..
Looks at bus operation changes resulting from the closure of George Street Sydney to road traffic. The film takes a walk along the street. 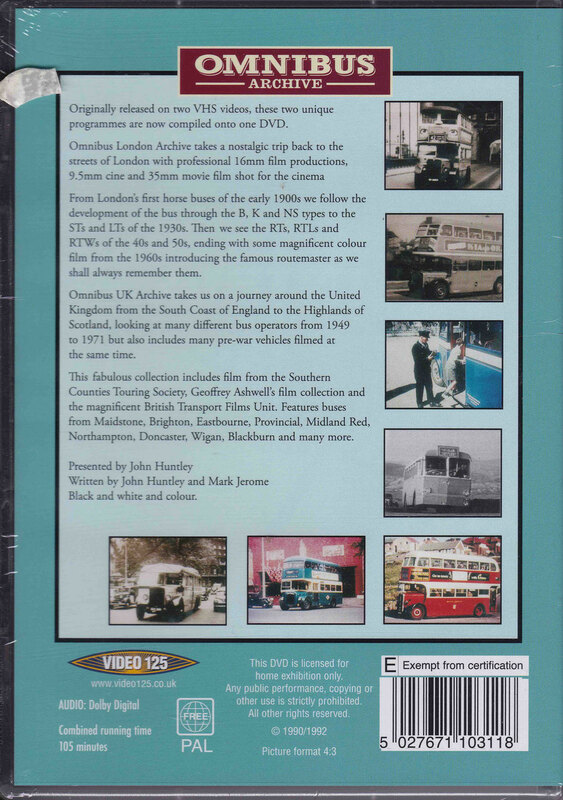 As well lots of footage of private bus operations in the 1970 -76 period. 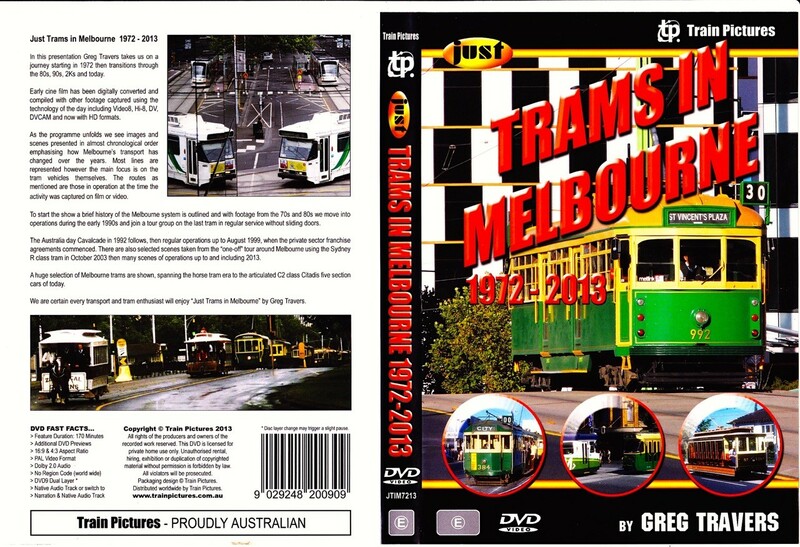 Includes lots of footage of Melbourne's large fleet of restored vintage trams. Nearly three hours, all in colour. Fascinating journey through Melbourne's large tram system, from 1972, through the 80s 90s and 2000s up to date of publication. 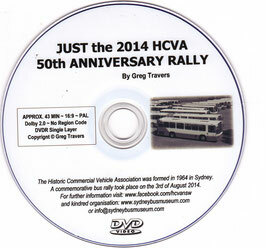 The dvd begins with a history of the system, from horse tram days, up to articulated C class. 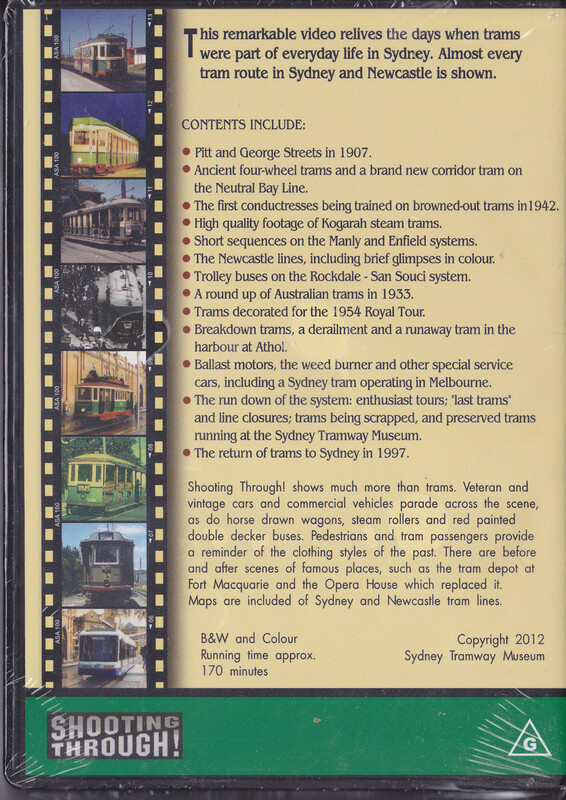 Also covered in detail is the enthusiast tour using Sydney's R class tram 1808 when on loan in October 2003, and film of the last W series tram running, without sliding doors. 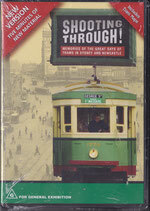 Generous serves of video footage of Melbourne tramway operations, in a professional quality DVD. Digitally remastered vision from cameras embodying the best technology available at the time, with full informative narrative added. 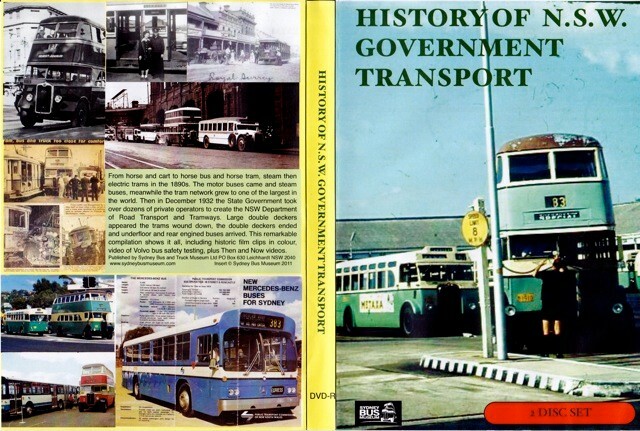 This very comprehensive new version reviews the days when trams were part of everyday life in Sydney & Newcastle. The video shows almost every tram route in Sydney & Newcastle, contains tram maps as well as new material filmed at Sydney Tram Museum. Amateur video, professionally edited. 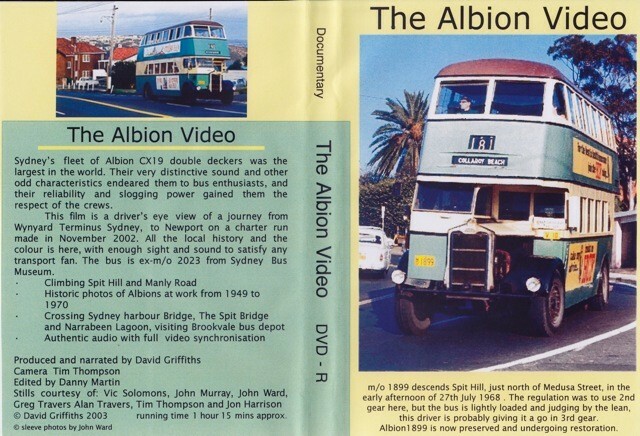 The story of a re-enactment of the run by Albion double decker from Wynyard to Newport following the line of route 187, "Newport Beach". Filmed from beside the driver, giving all the sights and sounds of these distinctive vehicles. Descending and ascending that challenging grade on Spit Hill. Filmed in November 2002 using Albion CX19 no. 2023 from Sydney Bus Museum. The only film you will ever see of a journey by Sydney Albion. Running time 1hr. 15 mins. 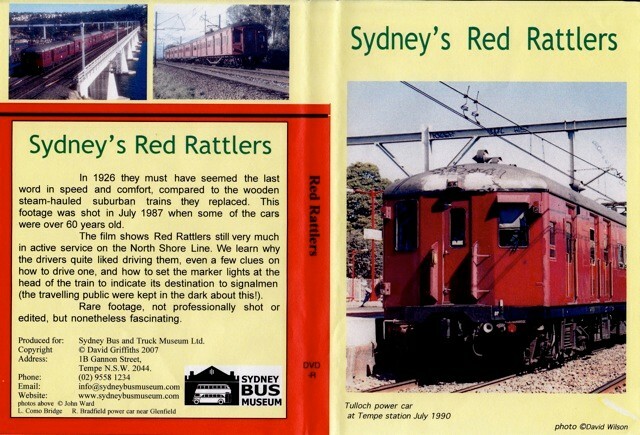 Some very rough amateur footage of Red Rattlers in service along Sydney's North Shore line in July 1987. Unedited, poor vision at times, good sound. Interviews with drivers, many different car types. A ride in the driver's compartment from Hornsby to Turramurra (at night). Rare footage, not seen anywhere else. Don't be misled by the rather dull cover: this is a gem with footage of many aspects of STA operation, as viewed by HCVA members on special hirings. 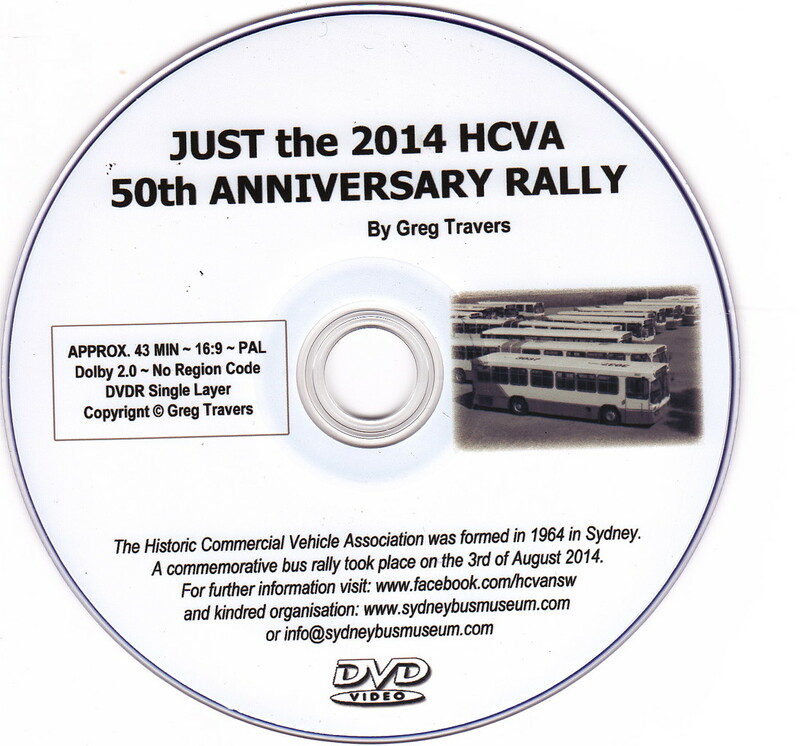 A fine quality DVD produced to showcase the Commemorative Rally marking the 50th Anniversary of the formation of the Historic Commercial Vehicle Association in 1964.
no area code: may be viewed anywhere in the world.. The story of the battle to save Tempe Depot from being demomolished for develpoment and a close look at the people and buses that make up the museum. 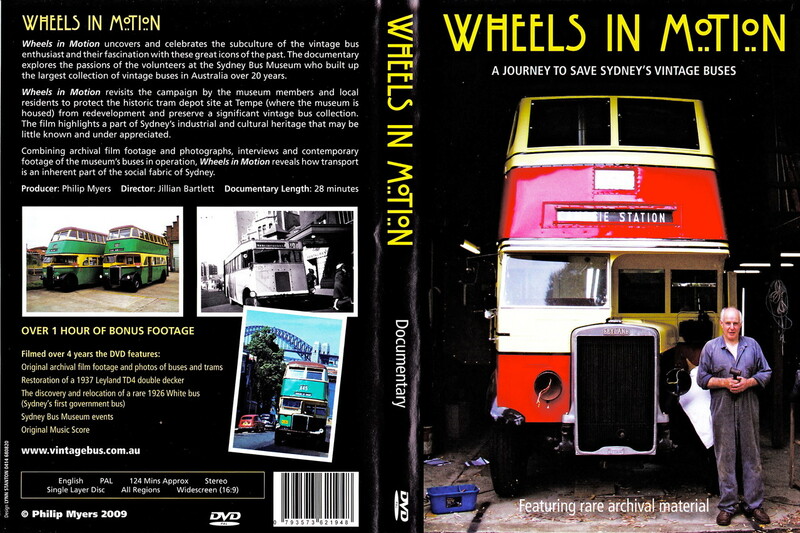 Museum footage, running footage, interviews with members, restorations in progress, discovery of a 1929 White bus, and above all the WIN, to save the Museum. Work on 1936 Leyland TD4 no. 379. One disc is an endless loop of historic photos. The other contains movie and still shots. (Including a brief view of the Sony Atlantean, no. 1155 in AOA). 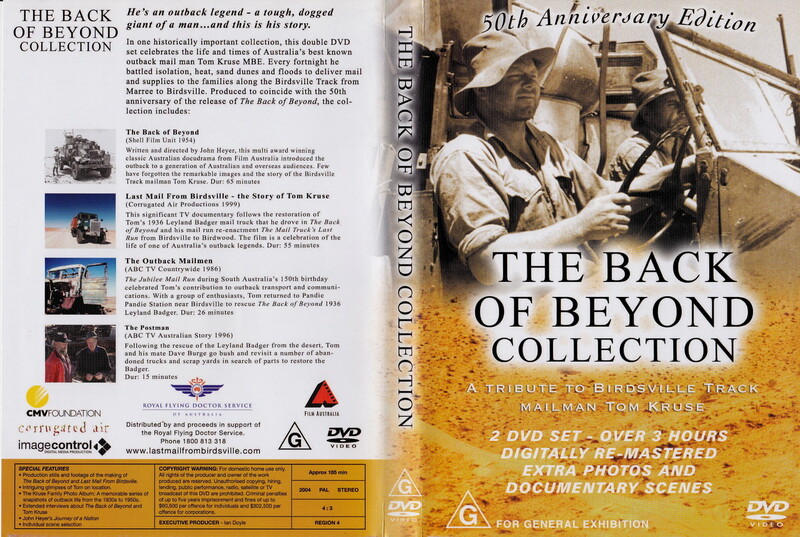 The 1954 classic documentary by John Heyer about the Maree to Birdsville mail run. It won Best Documentary award at Cannes Film Festival that year. A Palm d'Or had never before been won by an Australian film-maker. Still just as moving today.